Which Gun Companies Utilize the .40 S&W? For a more modern round, there is a fair amount of talk regarding the .40 S&W. Some say it is a dying cartridge, while others say it will be around for many more years. Well, I’m not here to give my opinion on that issue. This is the internet, after all, where anything and everything can (and does) invariably happen, so I don’t want to say anything too absolute. Let more experienced folk give their idea on where it is headed – I’ll stick to talking about what I know. Now, from the rather limited amount of shooting I have done with .40 caliber guns, I must say that I was fairly impressed with the quality of the round. 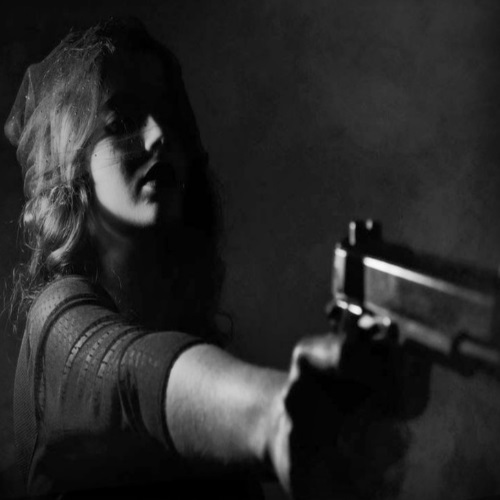 Perhaps I need to do some more shooting before I have a settled opinion, but that is my impression, anyway. 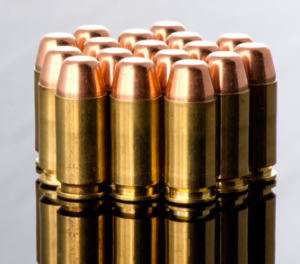 Designed in 1990, the .40 S&W is a bullet which is constantly being compared to the .45 and 9mm Parabellum rounds. More on that later. First off, let’s get the lowdown on this cartridge’s history and origins. Oh by the way, welcome to The Definitive .40 S&W Ammo Guide. What Does S&W Stand for? What Does .40 S&W Mean? .40 refers to the diameter of the bullet, and it is named so after the Smith & Wesson firearms company, which contributed to its design. 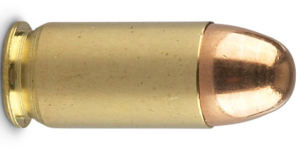 The metric size of this cartridge is 10X22mm, only a fraction of an inch smaller than that of the FBI’s short-lived 10mm Auto cartridges, which are 10X25mm. “The FBI,” you ask? What have they got to do with it? Well, here’s how it all went down. After the famous Miami shootout of 1986, the Federal Bureau of Investigations was looking for a new service cartridge. In the aftermath of the shooting, it was deemed that 9mm rounds were not powerful enough to serve as a sidearm cartridge. 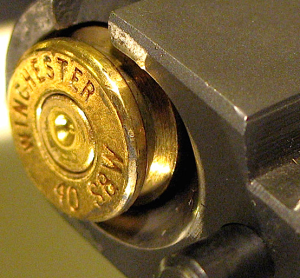 The FBI adopted the 10mm Auto cartridge in 1989, but its recoil proved to be too powerful. Shortly after the 10mm Auto was selected, the Bureau’s higher-ups contacted arms manufacturers Smith & Wesson and Winchester, and requested they design a new bullet, tailored to FBI specifications. The proposed cartridge was to be modeled after the reduced-velocity FBI brand of 10mm Auto cartridges, they said, but be with a more manageable recoil factor. Furthermore, it should be able to be retrofitted to medium-sized, 9mm handguns. That was a tall order to fill, but Smith & Wesson and Winchester – two of America’s finest and largest firearms manufacturers – were up to the task. What they brought in for testing and evaluation is the cartridge known as .40 S&W. Brought into service in 1990, this round is one of the more modern additions to the growing family of American-made cartridges. It was designed, first and foremost, as a service and law-enforcement cartridge, meant to replace the 10mm Auto. 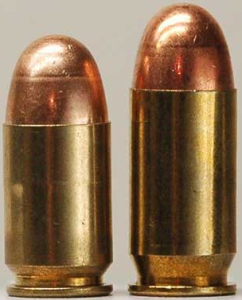 The .40 S&W is a rimless cartridge, and essentially a shortened version of the 10mm Auto. The FBI wanted the 10mm Auto’s ballistic capabilities in a smaller package, and the .40 S&W is exactly that. Except for the length of the case and of the cartridge itself – which were shortened for retrofitting – the .40 S&W retains many of the 10mm Auto’s characteristics. However, note that the two rounds are not interchangeable, certainly not in a semi-automatic weapon. Those minuscule fractions of an inch make a very big difference when the pressure builds up around the cartridge. So, the FBI was satisfied with the performance of the 10mm Auto, but wanted something with less recoil. How does the .40 S&W do, ballistically? Here is a quick rundown of the ballistic properties of the .40 S&W round, in various grain sizes and casings (source: Wikipedia). Ballistics for the .40 S&W are similar to that of the 10mm Auto, precisely as the FBI wanted. The 10mm Auto usually comes in heavier grains, but as an example let’s compare the two at 180 grain: The .40 S&W reaches 1,050 fps, and hits with 598 Joules of energy. The 10mm Auto will reach 1,030 feet per second, and hit the target with 575 Joules. Pretty close, right? And that is what the FBI wanted. If you are looking to stay away from another 1986 Miami shootout situation – as the FBI was – you need something with more stopping power than the 9mm bullets which were around at the time. 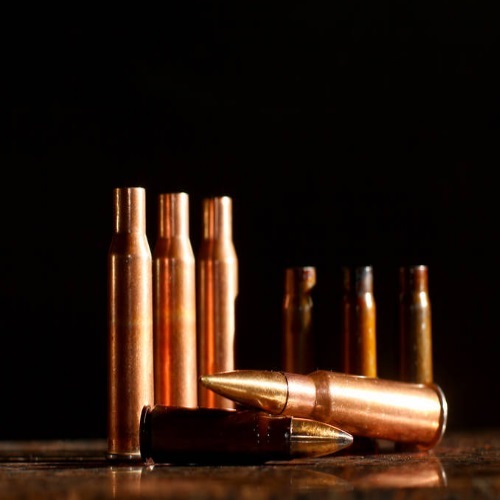 By the way, 9mm rounds these days are more sophisticated, and the FBI – along with other agencies – is actually in the process of shifting back to 9mm Parabellum. In the spring of 2016, the FBI awarded Glock with a multi-million dollar contract for 9mm guns. The .40 round is fun to shoot overall, but there have been stories and some evidence of malfunctions happening with over-pressurization. 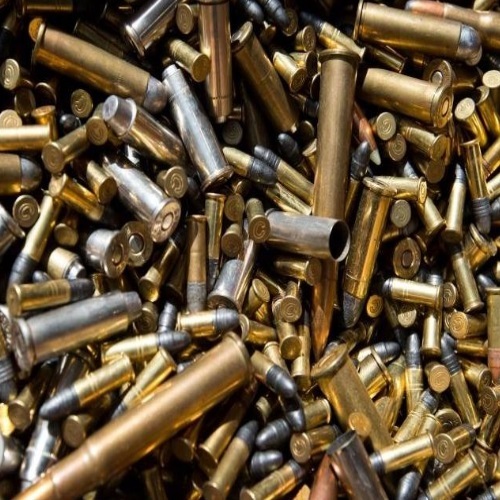 The ammo can come pretty cheap, it is accessible, and it produces a more mild recoil than other 10mm diameter rounds. However, remember that it was designed as a service cartridge. It doesn’t have too many uses besides that. It is no good as a hunting round, and it can prove to be too expensive for target practice. Since it is a heavier round, it won’t fly as fast as, say, a 9mm. But again, for self-defense purposes it works just fine. It has enough stopping power and is fast enough to reach any target within considerable distance. The effective range of a .40 S&W is more than enough for most armed confrontations. It comes down to the shooter’s skill. 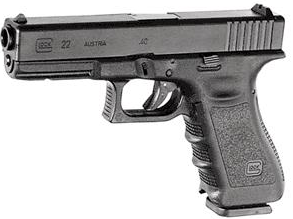 Glock 22: semi-automatic, full size, striker fired, recoil operated. Glock 23: semi-automatic, compact, striker fired, recoil operated. Glock 27: semi-automatic, subcompact, striker fired, blowback operated. 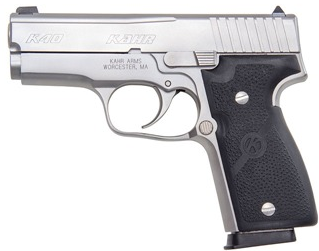 K40: semi-automatic, compact, double-action-only, recoil operated. P40: semi-automatic, compact, double-action-only, short-recoil operated. CW40: a budget-friendly version of the P40. 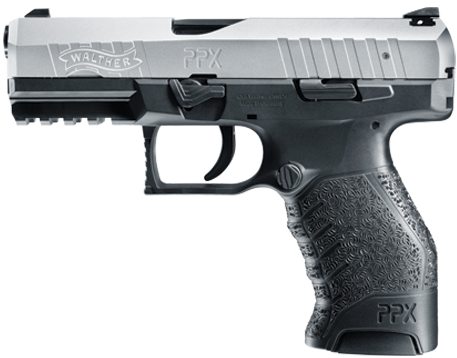 PPX: semi-automatic, full size, hammer fired, double-action-only. PPS: semi-automatic, subcompact, striker fired, double-action-only. P99: semi-automatic, full size, striker fired, double-action/single-action. 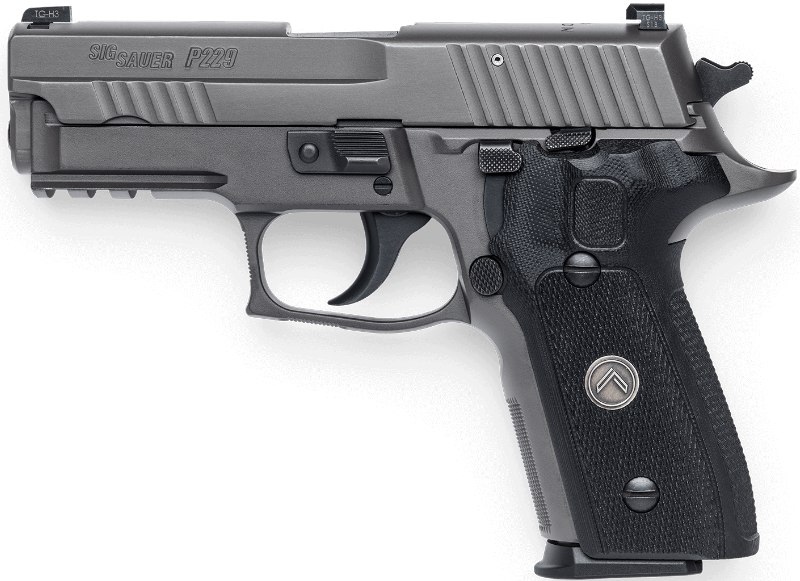 P226: semi-automatic, full size, double-action-only OR double-action/single-action. 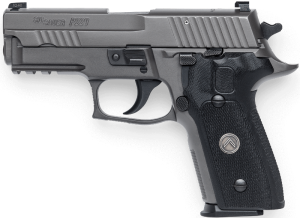 P320: semi-automatic, size varies, striker fired, short recoil operated. 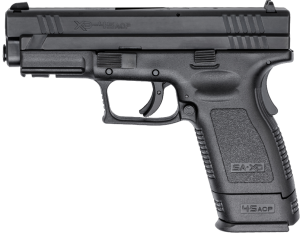 XD4: semi-automatic, full size, striker fired, double-action-only. XDM: semi-automatic, compact, striker fired, double-action-only. 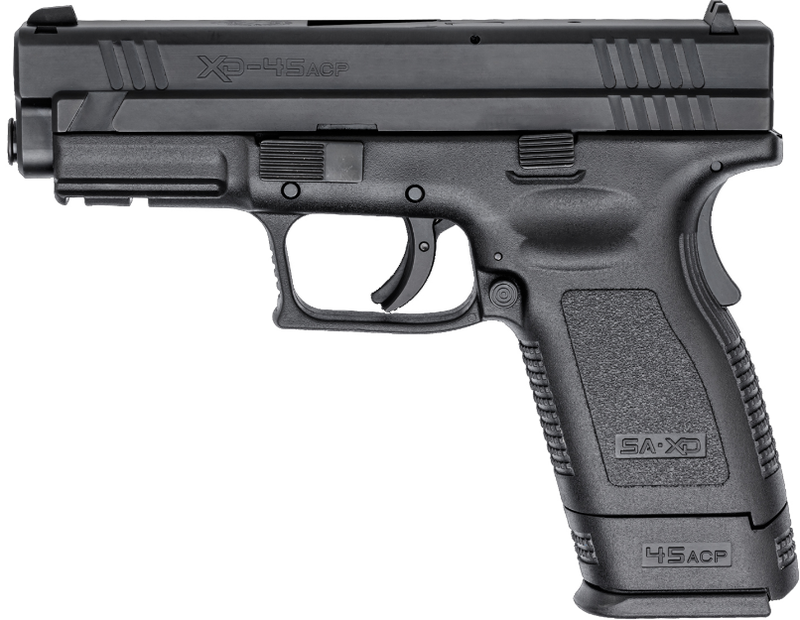 XD-S: semi-automatic, subcompact, striker fired, double-action-only. 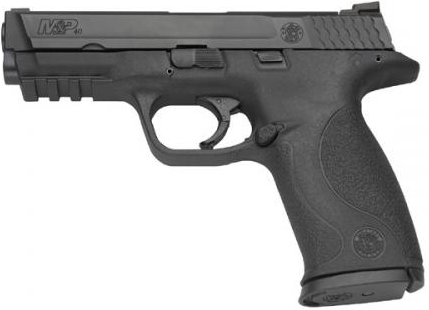 M&P .40: semi-automatic, compact, striker fired, double-action-only. This is one of the older debates around, which was sparked as soon as old .40 S&W made an appearance. 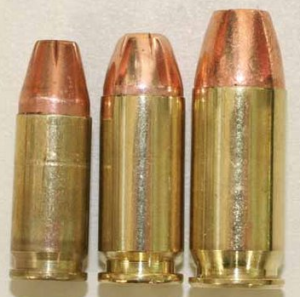 The argument over speed and stopping power of these three is alive and kicking, and in a way the .40 is a middle ground between the other two. This is an advantage and a disadvantage in one, being a compromise kind of round. It all depends on how you look at it, and – more importantly – on your intended use. Well, this was covered a bit earlier, seeing as how the .40’s parent case is a 10mm Auto. The .40 can really do everything a 10mm Auto can do, and at a cheaper cost. And, as mentioned, the recoil of the 10mm Auto is more substantial. These two are also quite similar as far as energy, penetration, and wounding is concerned. .45 GAP are wider and usually heavier than .40 S&W. Ammo for the .40 S&W is less expensive, and works just as good. The things that jumps out before anything is the price. .357 SIG is more expensive. .357 is more of a flat trajectory bullet, and it is generally lighter than .40 S&W. It came out in 1994, several years after the .40, but it packs a punch. Most .40 S&W guns can be converted to .357 SIG by replacing the barrel. They have a lot in common. Prices of ammunition rise and fall with the times. Politics, policies, and business trends shift, and with them so does the firearm industry. The price per round is approximately 24 – 28 cents, and in some cases (quite literally), it can be found for 18 cents a round. Always make sure to take advantage of any deals, shows, or sales that are happening, and you should be able to get the best bang for your buck. The .40 S&W is a round with a short, yet loaded, history. Being “stuck” in the middle, between the 9mm Parabellum and the .45 ACP, it is a cartridge which has been the focus of some debate. Not as fast as the 9mm, and not as powerful as the .45, the .40 round has seen its share of law-enforcement action, and is now being phased out. But that does not mean it is dead or dying. It is here to stay. The .40 has been the center of some controversy, too, with extra pressure being a prime suspect of various failures and explosions. Nevertheless, there are people – civilian and servicemen alike – who still entrust their lives to their .40 S&W weapons on a daily basis. It all comes down to you and your abilities. It is a great self-defense round, but is rather limited for other uses.